The DOG invites all members to join us for its general meeting on Friday, 27.9.2019, 18:15 – 19:30. The meeting agenda and other relevant documents will be mailed to all members in August. Admission to the conference venue will be free for DOG members wishing to attend the general meeting without a conference pass. Use the opportunity to register via our online registration, which will also be available throughout the congress. That way, you can register comfortably from wherever you are and save time onsite. Please do not miss the chance either to register before July 8, 2019 to benefit from reduced rates. 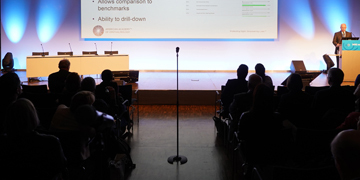 The DOG 2019 will take place at the Estrel Congress & Messe Center Berlin. The Estrel combines hotel and congress center and offers room for more than 1.000 guests in its adjoining hotel. 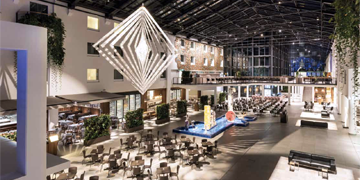 With meeting, accommodation and exhibition under one roof, the DOG 2019 offers its participants proximity and comfort. The FEOph Symposium offers an insight into the ­different strategies and treatments, which are applied in Europe. Five junior speakers from different European countries will focus on question whether “to inject or not to inject” and present the current therapeutic approaches in their own countries. 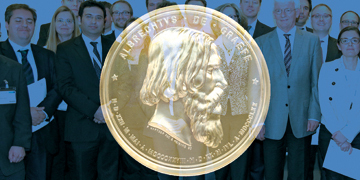 As in past years, our Keynote Lectures will elucidate specific focal points in ophthalmology. In each of these half-hour lectures, an outstanding expert will comprehensively present an important topic. In each of these half-hour lectures, an outstanding expert will comprehensively present an important topic. All participants from Middle Eastern European and Eastern European countries are offered free access to the congress. Furthermore, the DOG awards the best 25 abstracts submitted from Middle Eastern European and Eastern European countries with travel awards of Euro 750 each. 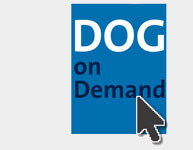 DOG on Demand is the DOG online portal that is used to archive the scientific contributions and provides the opportunity to retrieve and listen to missed lectures or presentations. The offer will include the slides and audio recording of the speaker if he/she previously agreed to publication. 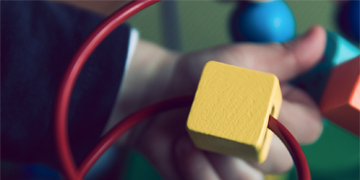 Digitization had become an integral part of daily routines in medicine. However, information on this complex and sensitive topic is in high demand. “Forum digital” at DOG 2019 serves as a platform for discussions of digital applications, privacy and data security, big data, and related issues. As in previous years, the DOG again offers professional childcare services for participants’ children throughout the duration of the congress. This year a fee of EUR 10 per day and per child applies.